Although we're marrying in Florida with just two guests (in fact, by the time this post goes live, we will already be married! ), we are having a reception back in England, so we needed some invitations to send out to guests. 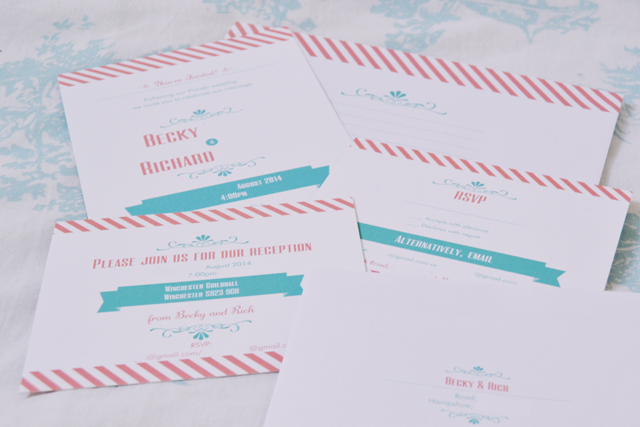 Luckily, VistaPrint kindly allowed me to choose my own customised invitations and sent them on to me. 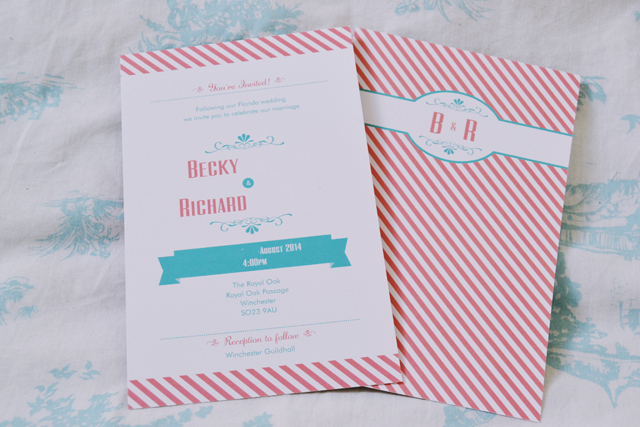 We settled on these striped designs in our wedding pastel shades of pink and mint. 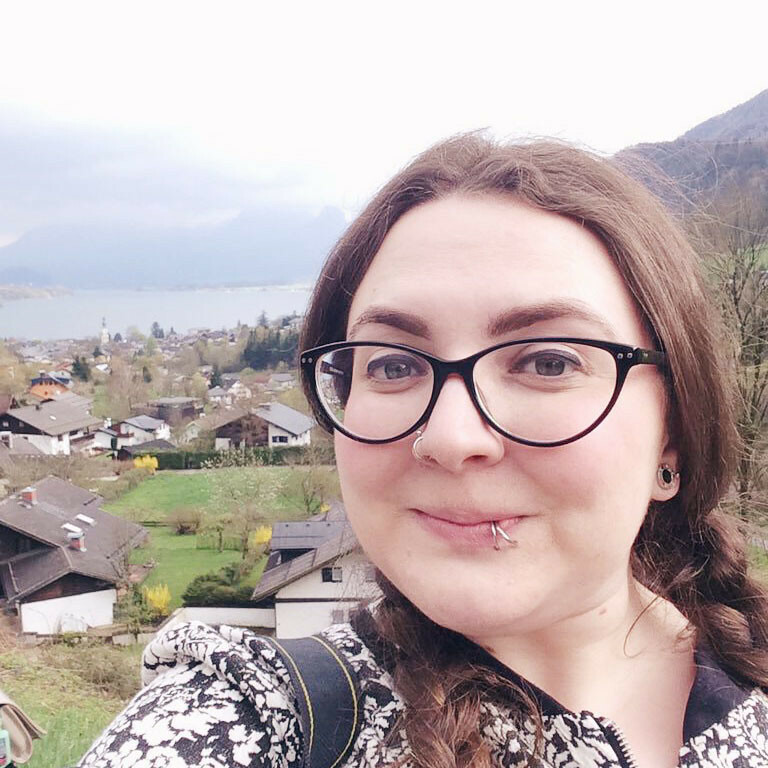 They were fully customisable in terms of wording, and we could also choose from a variety of different colour combinations. However, it is frustrating that the designs are not named, so it's very difficult to find the specific designs unless you save them to your projects. 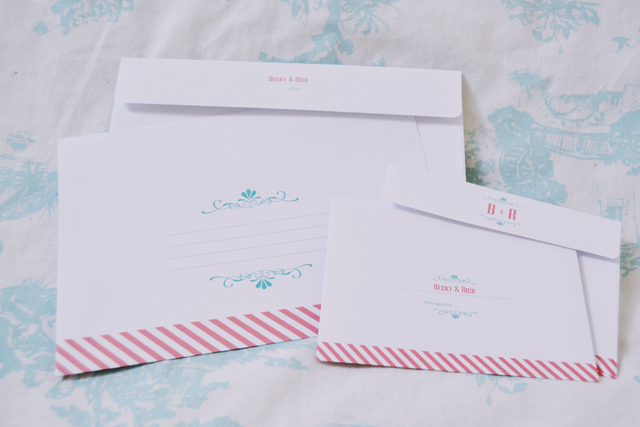 As well as day and evening invitations and RSVP cards, we also ordered matching envelopes with our address already included, so guests just need to fill out their card and send it on. 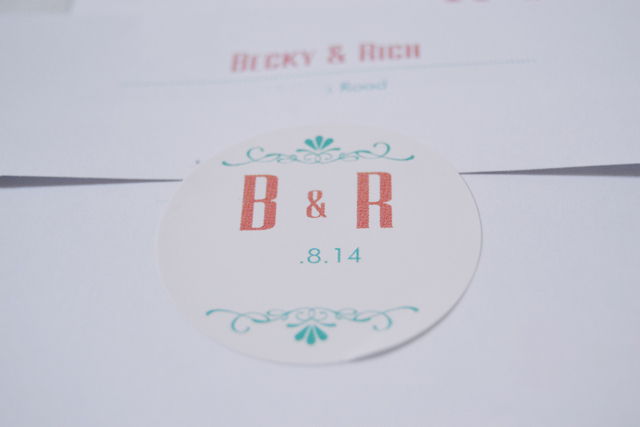 For a final touch, I couldn't resist these stickers with our initials and wedding date. Everybody I've spoken to regarding the invitations has said they tried to peel the sticker off without damaging it, so it seems like they've gone down well with our guests! Our invitations arrived really quickly and the quality was perfect. 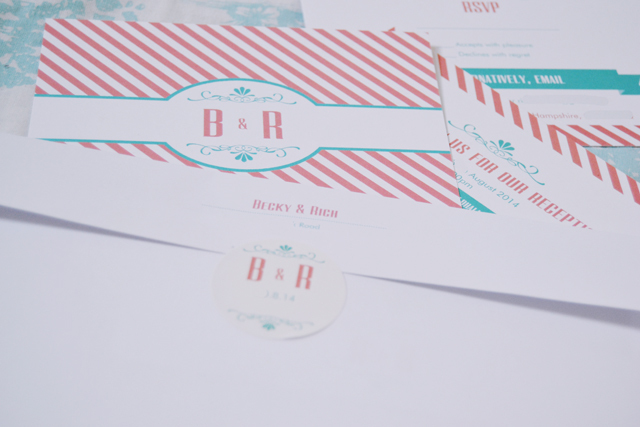 I really recommend VistaPrint if you're looking for invitations. Just remember to save any designs you like as you go along! I was trying to work out why your names were on one side then realised you'd very seamlessly edited out your surnames! Silly me. I hope you had a wonderful wedding day and even better reception with all your family and friends!!! Yay! The invitations look so cute. I love the color scheme. Congratulations on your marriage! The invitations look great. I've used Vistaprint before and think they're great products. Congratulations!!! hope you had an amazing day! !